The Kirk Foundation was established in 1999 by it’s founder and principal benefactor, R. Kirk Landon. Mr. Landon was born in New York City in 1929. His Father was an entrepreneur and his business brought him to Miami, Florida. Shortly after graduation from Georgia Tech, Kirk enlisted in the US Navy. After just a short time as a Navy officer Kirk was summoned to Miami to take over the family business as his father received a terminal health diagnosis. It wasn’t long before Kirk became the President of American Bankers Insurance Group. Developing innovative insurance products brought the company much success. In 1999 when Fortis purchased American Bankers Insurance Group, Kirk retired and became a full time philanthropist and pro bono advisor to many South Florida charities. Kirk always believed in giving back to his Community. 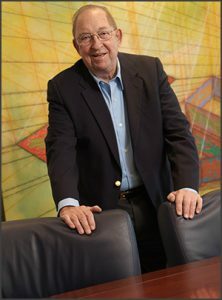 During his “retirement” he served on many Boards including Miami City Ballet, Florida International University and Chapman Partnership for Homeless. He also made many significant contributions, some of which include the R. Kirk Landon Undergraduate School of Business at FIU and American Bankers Aviary at Zoo Miami. Upon his death in 2015 at the age of 85, a significant portion of his estate was left to fund The Kirk Foundation to continue the good work he had begun in South Florida.